Call it classic heavy metal: tuba, euphonium and trombone music, with their distinctive deep baritone and bass notes. And it’s even better when you get a bunch of low brass together. That is exactly what will happen this Saturday, Jan. 27, during the third annual Brandon University Low Brass Festival, or BULBFest, at the BU School of Music. The festival, organized by BU low brass professor Dr. Aaron Wilson, will bring together between 75–100 people for a day of concerts, master classes and ensembles. Several groups are coming to BU from out of town, including ensembles from the University of North Dakota, the University of Regina, and the University of New Mexico. The Manitoba Trombone Collective, a trombone choir based in Winnipeg, will also be joining. Many school groups and bands will be taking advantage of the visiting performers at BULBFest. Admission to BULBFest is $10 and includes lunch. Al Kay is a featured performer in the evening concert. In the evening, the public is invited to a festival concert featuring Kay as well as several trombonists from the province. Admission to the evening concert is free for festival registrants or $10 for the general public, and is payable at the door. The BU Low Brass Festival gratefully acknowledges support from sponsors Yamaha, St. John’s Music, Brandon University, and the festival’s main sponsor, the Whitehead Foundation. Alastair Kay, recently retired as Head of Brass at Humber College is busy as a clinician, arranger, composer, and a virtuosic jazz and classical soloist. He has recorded and/or performed with hundreds of the very best artists and entertainers such as True North Brass, Ella Fitzgerald, Rob McConnell and the Boss Brass, Barbra Streisand, Diana Krall, Tony Bennet, Guido Basso, Aretha Franklin, Maria Schneider, Frank Sinatra, Warren Vache, Slide Hampton, Lighthouse, Bill Watrous, Wayne Bergeron, and All Star Brass. Al performs regularly with the bands of John MacLeod, Roberto Occhipinti, Hilario Duran, Lighthouse, Kirk MacDonald, Brian Dickinson, and his own 5 and 10 trombone jazz ensembles. He has been a feature performer across Canada with the leading orchestras of Toronto, Calgary, Winnipeg, and Vancouver, toured seven seasons with the Royal Winnipeg Ballet Orchestra, and performed with dozens of brass bands, concert bands, big bands, and jazz ensembles. Al travels regularly to Calgary area to do brass and jazz workshops, concerts with Prime Time Bigband, the Yamaha Order of Canada Big Band, perform and teach at the Banff Centre, and adjudicate local music festivals. Al has played for most of the musicals in Toronto for the past 40 years including “Sousatzka”, “Newsies”, “Mary Poppins”, “Come Fly Away”, “Cats”, “Dirty Dancing”, “Lord Of The Rings”, “The Producers”, and “The Lion King”. A busy studio musician, he has played on hundreds of T.V. and radio jingles, themes, movies, records, CD’s and DVD’s. Recent recordings include Juno-winning or nominated CD’s by Phil Dwyer, Alex Dean, Brian Dickinson, John MacLeod, Kirk MacDonald, and soloing on the epic new game “Cuphead”. Al’s association with Yamaha has led him to Japan helping design the YSL 697Z/897Z trombones and the Al Kay Artist Model mouthpiece. The University of New Mexico Harvey Phillips Chapter of ITEA was founded in August of 2005. The chapter was named after Mr. Phillips to honor his outstanding work and dedication to the tuba and low brass world. The tuba/euphonium studio is a very active organization on and off campus. Following Dr. Richard White’s arrival in 2004 we have performed at International and Regional Tuba Euphonium Conferences and have had several students compete and place at these events. Locally we perform at arts in medicine at UNM Hospital and Tuba Christmas during the holiday season. We have also hosted several internationally known guest artists to perform including Dan Perantoni, Gail Williams, Demondrae Thurman and many others. These guest artists have given recitals, master classes and applied lessons that are open to the public. 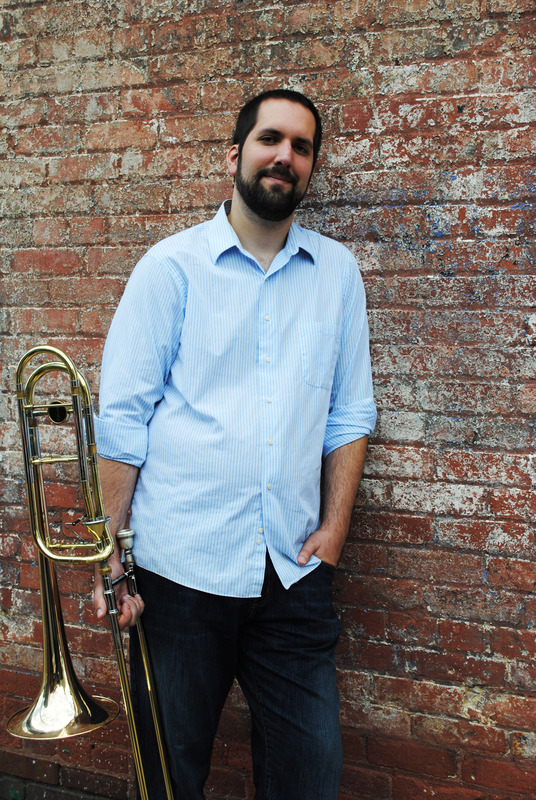 Having spent his career in the Pacific Northwest and the Southern United States, Dr. Aaron Wilson is honored to be a part of the Brandon University School of Music as the Assistant Professor of Low Brass. Wilson remains active in the Manitoba music scene, appearing with the Winnipeg Jazz Orchestra, the Brandon Chamber Players, and the Market Street Brass. 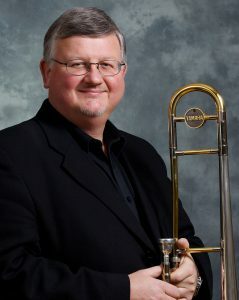 Prior to his appointment at Brandon, Wilson performed with the Bay Street Brassworks, a brass and percussion ensemble based out of Indianapolis. His involvement with the group enabled him to perform educational and community concerts along the east coast. In addition, Wilson has performed with several professional ensembles including the Raleigh Symphony Orchestra, the Piedmont Triad Jazz Orchestra, the Market Street Brass, and the Durham Symphony, where he served as the principal trombonist. An energetic solo artist, Wilson presents recitals regularly across Canada and the United States. His repertoire selection is highly varied, featuring standards of the trombone repertoire, chamber music selections, electroacoustic works, and off-the-wall avant-garde pieces. Additionally, Wilson has been featured as a guest artist with the North Carolina Trombone Festival, the UNCG University Band, the Whatcom Wind Ensemble, and the Indiana Junior All-State Band. Wilson earned his Doctor of Musical Arts and Master of Music degrees from the University of North Carolina at Greensboro, where he studied with Dr. Randy Kohlenberg. He earned his Bachelor of Music degree from Western Washington University, where he studied with Greg Cox. 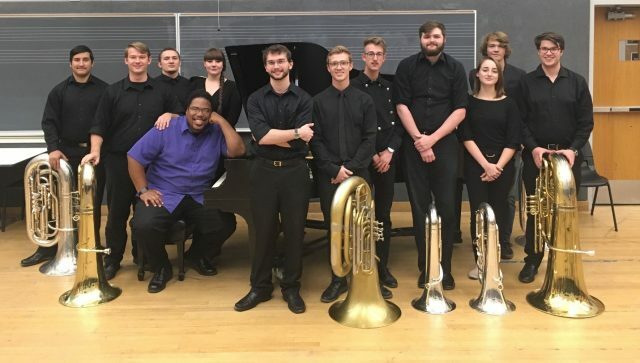 While at UNCG, Wilson had the opportunity to teach undergraduate low brass students, conduct the UNCG Trombone Ensemble, assist with teaching the school’s brass methods course, as well as teach several sections of freshman level music theory and ear training. Furthermore, he was active in organizing the annual North Carolina Trombone Festival, Carolina Band Festival, UNCG Summer Music Camp, and the 2013 College Band Director’s National Association Conference in Greensboro.